Newly uploaded footage of Ricardo Treviño III’s fatal shooting has revealed activity by the police officers involved. 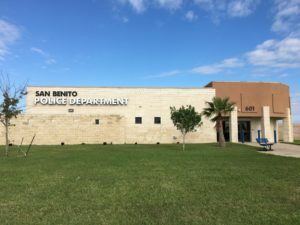 In a Facebook post, Joanne Garza, sister to Treviño’s mother April Flores, uploaded a video widely shared by the community of her nephew’s death; however, this particular video had additional audio that depicts the officers holding a conversation after a barrage of gunshots ensued. At one point after that, a voice can be heard saying, “C’mon. Get up, Junior,” implying the officers knew who the victim was. “Hey! What’s up, dude? Get up,” said another voice in Spanish. “Hey, dude! Still there?” asked a voice. “Nope,” is vocalized immediately after.